It is fair to state that Liverpool is on a crest of a wave. I am now 50 years of age and have witnessed many a false dawn, but this time I do believe all the planets are aligned. It is true that we have so much to thank our forefathers for, with having being gifted the largest amount of listed buildings in any city outside of London. It is our company’s task to give many of these listed buildings a modern interpretation, providing future generations with a stunning visualisation of a bygone era. Liverpool has changed dramatically over the last 20 years, having endured the out-of-sight out-of-mind lack of funding born from the Thatcher era. A city bereft of investment left to fend for itself. Thankfully, we now have a Scouser in our Mayor, Mr Joe Anderson, who stands upright, making tough decisions whilst the purse strings from Whitehall become tighter. Yet, our city is seen as one of the UK’s most prolific cities. Fortunately, within the next two years, streets such as Victoria Street, Dale Street, Tithbarn Street and Duke Street will be stripped of their dereliction tag and replaced with not only a sympathetic refurbishment, but also a feasibility to help them survive without the need of government intervention, which will reinforce our UNESCO status. 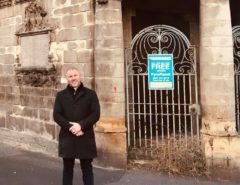 As you might be aware, I am passionate about restoring Liverpool’s structures to their former glory, celebrating the history of our fair city – and that stretches to our port. With Liverpool set to launch the Liverpool2 terminal this summer, I felt compelled to write this article – because there has been much criticism of Liverpool welcoming liners back to our shore for turnaround services. It is almost inconceivable to me that anyone would want to block what would be, without doubt, the UK’s most stunning port. 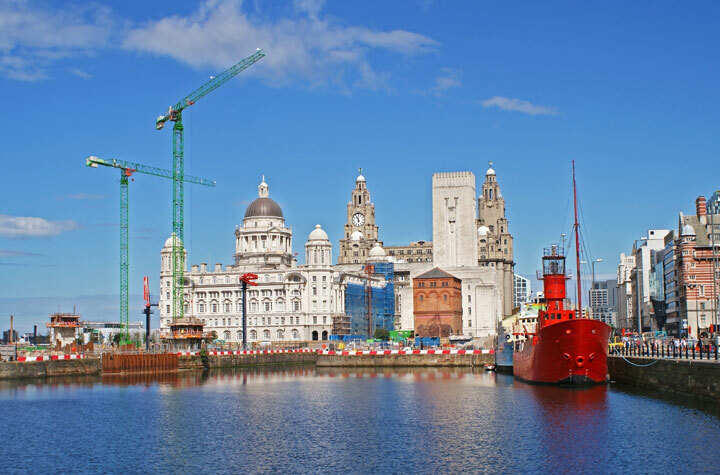 Just visualise our stunning skyline, dominated by the Three Graces, as the perfect backdrop for any tourist to set their eyes upon as they pull into our port. Those familiar with Liverpool’s maritime history will know we were once the home to the White Star Line and Cunard Line’s headquarters, welcoming some of the biggest liners in the world into our port, including RMS Carpathia and RMS Lusitania. The White Star Line’s HQ was actually registered to our very own 30 James Street. This Grade II* listed building was also the port of registry for RMS Titanic and RMS Olympic, and is the reason why the world famous liners are so synonymous with our city. Liverpool was also integral to the Battle of the Atlantic, which was the longest military campaign in World War II, serving as the Allied naval blockade of Germany. Many wartime Atlantic convoys made their way into the city during WWII, with the Battle of the Atlantic fought and won from our Western Approaches Command. 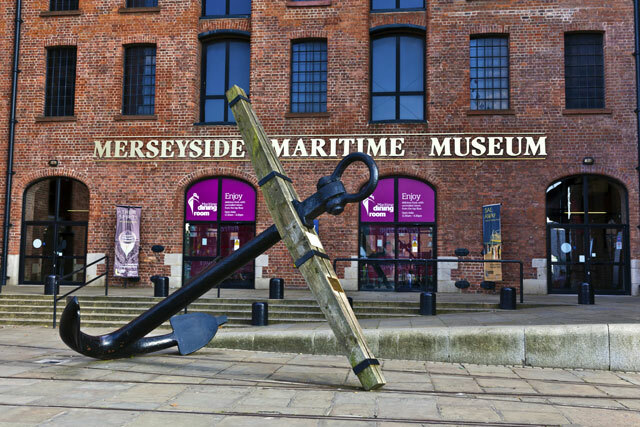 Our maritime history also shaped the city’s culture, with Liverpool having the strongest Irish heritage of any British city. The Irish migration undoubtedly shaped the Scouse dialect, and many of Liverpudlian’s Irish ancestors would have most likely travelled by ship to Liverpool in the 19th century during the Great Famine. 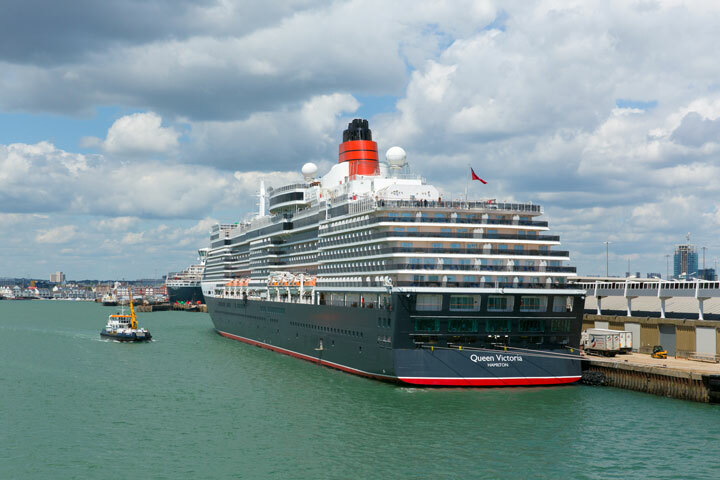 For a number of years now, Southampton has openly criticised Liverpool’s new cruise terminals – leading to the media coining the rivalry as “Cruise Wars”. In my opinion, Liverpool has no rivalry with Southampton. We respect the city’s maritime history, trade and transport connections. Sadly, I do believe Southampton do have an issue with our wish to relaunch our own port. The reason being that the creation of our new terminal will provide our city with the last piece of the jigsaw, which we lost when Cunard moved to Southampton in the 1960s, with the White Star Line dissolving in 1949. Peter Shanks, Cunard’s president and managing director, was widely quoted in the British press recently as saying that Cunard may one day offer cruise services from Liverpool. A statement that has set alarm bells ringing in Southampton and sparked a lively debate on the website of local paper, the Daily Echo. This would ensure that Liverpool offers the best port in the world – yes, I really do mean the world! As with all great aspirations, you will always come across a gatekeeper with another agenda. The so-called rivalry all started when Liverpool was granted a £9.2m government grant from the Department for Transport (DfT), and £8.6 million from the European Regional Development Fund, which was provided to fund the building of the £19 million Liverpool Cruise Terminal, and was opened by HRH The Duke of Kent on 21st September 2007. The government grant was given on the proviso the terminal could only be used for port-of-calls, which meant no cruise liners could begin or end their voyage in Liverpool. The sole reason was to minimise unfair competition with other UK ports that had been built through public funding, such as Southampton. State Aid rules ensure a grant cannot be provided to help a private business benefit over its rivals, with both Southampton and the North East believing the funding would provide Liverpool with an unjustifiable advantage. With the hope of increasing trade into the city, Liverpool unsuccessfully attempted to have the cruise restriction overturned in 2009. Very aware that Liverpool could boost the local and national economy through port-of-call stops in the city, Liverpool City Council offered to pay back part of the UK government funding in exchange for turnaround visits in 2011. Angry that Liverpool could now offer turnaround visits from their port, the Associated British Ports, who own Southampton Docks, took legal advice. The Southampton Chamber of Commerce collected 12,000 signatures on a petition against turnaround cruises, which was handed to 10 Downing Street. Southampton argued Liverpool had broken State Aid rules when the city began operating turnaround cruises that start and finish at the Pier Head, with both Southampton and the North East demanding Liverpool pay back the funding. However, Liverpool was open and honest about the city’s intentions from the start. As I stated a little earlier, We attempted to have the restriction overturned back in 2009, so opted to repay back the grant in full to offer turnaround services from the city. In 2012, Joe Anderson, the Mayor of Liverpool, stated the city had settled the bill in full, and The European Commission ruled in 2014 that the funding was within state rules; the agreement complied with competition laws and the city paid back the bill as soon as the UK government provided repayment details. I could probably relate to Southampton’s anger if they had not received money for the development of their port. However, what we have here is a serious case of double standards, because the Port of Southampton has actually benefited from government funding in the past. David Bartlett, the editor at the Liverpool Echo and Liverpool Post, put in a Freedom of Information (FOI) request at the Department for Transport, asking about the government grants given to projects both in and around Southampton’s docks over the years. The Department for Transport provided Mr Bartlett with details that actually proved public money had been provided to Southampton. How much? £50 million. You could argue that Southampton has a right to public funding like any other city, but let’s not forget that their port is privately funded – yet they have benefited from the public money to improve reliability on roads to access Southampton docks. I’m pretty sure the Associated British ports didn’t shout about how unfair the financing was then. The government has therefore supported the private port, the same way they intended to support the development of Liverpool’s terminals. Despite benefiting from £50 million public funding to improve the port’s accessibility, Southampton launched a fresh attack on Liverpool in 2013, stating their anger at Liverpool receiving £35 million from the Regional Growth Fund (RGF) for the dredging of the Seaforth estuary, which was essential for accommodating incoming freight liners into the port. Mr Denham’s comment, however, proved why the government chose to provide the grant. 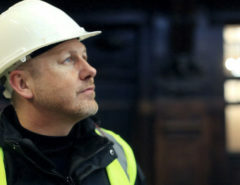 In his words, the government’s policy “is that the market should decide which ports are successful” – so the government has decided to help make Liverpool’s port a success, because it realises its potential. Liverpool received the Regional Growth Fund fair and square. The government has an economic interest to create a port in the North West, and what kind of government would they really be if they didn’t provided cities with the tools to boost their local economy? This is not about favouritism; it is about economic and logistical common sense. Southampton might be quick to call Liverpool for receiving the Regional Growth Fund, but we shouldn’t forget that they actually received a £70 million European Investment Bank (EIB) loan – because this is money the city will eventually have to pay back. 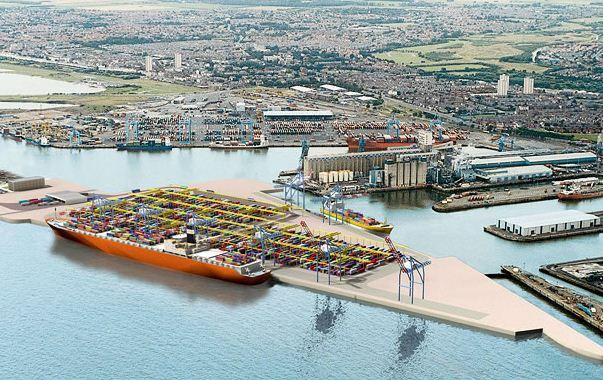 Southampton argued about funding that impacts unfair competition – but their loan resulted in the upgrading of the rail link from Southampton Docks to the Midlands container terminals, which directly competes with the Port of Liverpool. A spokesperson from the Department of Business, Innovation and Skills also defended the Regional Growth Fund, stating the Port of Southampton would benefit from a £7.5 million RGF Platform Prosperity award to Southampton Council to improve the infrastructure around the docks. So, the reason Liverpool received the RGF? Because the government will see a significant return on their investment. It’s as simple as that. There have been rumours that Liverpool plan for the Cunard Line to build their headquarters in the city once again, but this isn’t the case. We’re not going to deny that Liverpool has strong links to the historic shipping company, as the Cunard Line has even referred to Liverpool as their “spiritual home”. The city has no plans to steal the Cunard Line’s HQ. We understand and respect that the Cunard Line’s home is now in Southampton. We do, however, hope to one day resume turnaround cruises from the city – with Cunard Line expressing interest in operating liners once again from our port. Cunard recently stated plans to reintroduce crossings from Liverpool, but only if plans for a permanent cruise liner buildings come to fruition. As a result, Liverpool City Council identified the former Princess Jetty at Princes Parade, located near the Malmasion hotel, as a potential location. Liverpool City Council is currently embarking on an in-depth study to identify the cost and design to construct a terminal to handle 3,600 passengers with baggage. Angus Struthers, the director of Cunard, commented: “Liverpool’s ambitions to develop its cruise business have been clear for some time. Liverpool will forever be Cunard’s spiritual home and, as the world witnessed with the Three Queen’s Spectacular last May, the city’s pride in the association and level of interest in Cunard across the whole North West of England, remains strong. Southampton is in no danger of losing its status as the cruise capital of Northern Europe. The city will welcome the Harmony of the Seas, the world’s largest cruise ship, on 22nd May 2016, where the liner will depart on her maiden voyage to Rotterdam, before returning on 29th May for Barcelona. The city is also the top cargo port in the UK and the leading UK port for handling cars. It is also the direct UK port that welcomes all fresh fruit and vegetables from the Canary Islands, and the city handles a large proportion of the UK’s trade with the growing economies of Asia. Southampton offers the largest port in the UK, and we can’t rival that at present. Let’s not forget, 90% of exports are transported by sea – and world trade is expected to grow over the coming years. We don’t think it is wrong for Liverpool to want a piece of the economic pie, when there is plenty of business to go around. Like any city, we want to grow and flourish, which means we have to utilise our capabilities when possible. 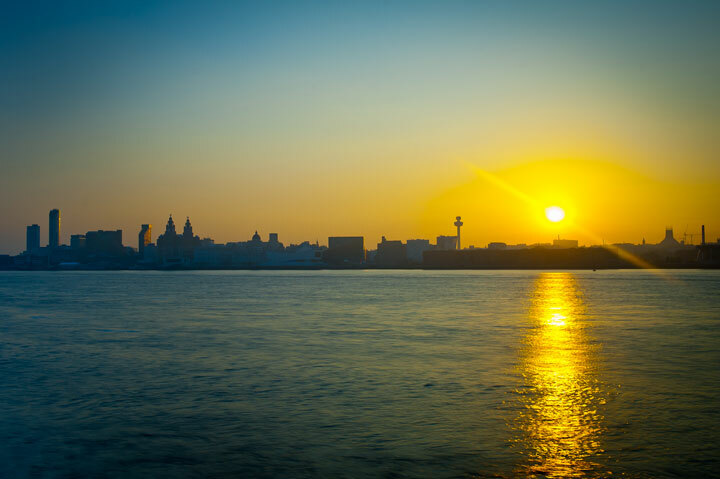 Liverpool has the potential to offer the finest port in the world yet again – we would have to be mad not to employ our beautiful waterfront for the benefit of our city, its people and the country. The whole of the UK should stand behind our stance, as this can only enhance what the UK has to offer to tourists from all over the world. Let’s face it, Southampton was able to grown because Liverpool, in the middle of the twentieth century, could not. We did not have the space or facilities to accommodate large cruise liners that were growing in size, whilst Southampton could – and the city, unintentionally, benefited from our loss. Our extensive maritime trade practically grinded to a halt and Liverpool residents lost their jobs.My father was a docker for 20 years, during a time when there was 20,000 dockers employed in our city. However, thanks to the growth of the economy and the confidence in the city, we can now resume trade. We don’t want to take Southampton’s trade. Quite the contrary. We want to work alongside the city, serving the northern part of the country with cruises and industry, whilst they can resume serving the south. The reason both the UK and European governments provided Liverpool with a public grant is because they have confidence in the city. 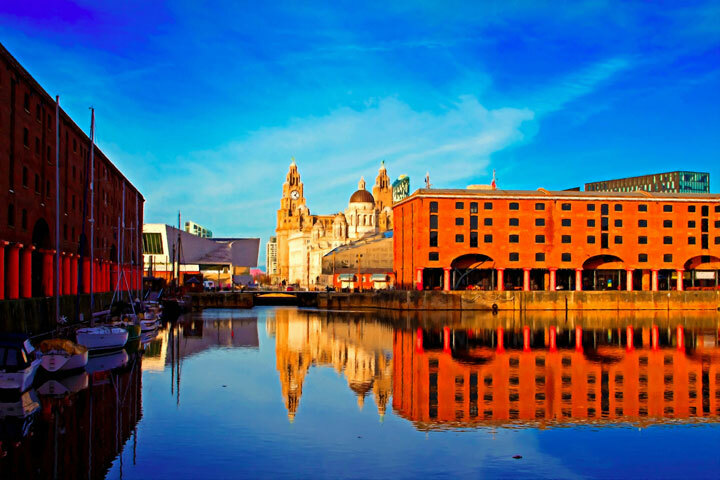 Liverpool has a right to flourish like any other city, and the government would not have financed the 2007 terminal if there was no economic or tourism benefit to both Liverpool and the rest of the country. In the words of Mayor Joe Anderson, “Liverpool is open for business”. Liverpool offers the third largest port in the UK, and is the principal entry port for North American goods. It would therefore provide the country with a north west point for exportation. Various shipping lines are keen to use Liverpool2, a £300 million deep water container terminal, which will open later this year. Companies hope to use the terminal to offer cheaper and quicker access to Northern markets, rather than moving goods by road from ports in the South of England – which will also help companies limit their CO2 emissions. Travelling to the United States will be easier for UK residents, too – because they can take a relaxing transatlantic cruise directly to destinations such as New York City. People across the UK set to take a cruise holiday abroad often have to travel all the way down to Southampton to step aboard a liner. 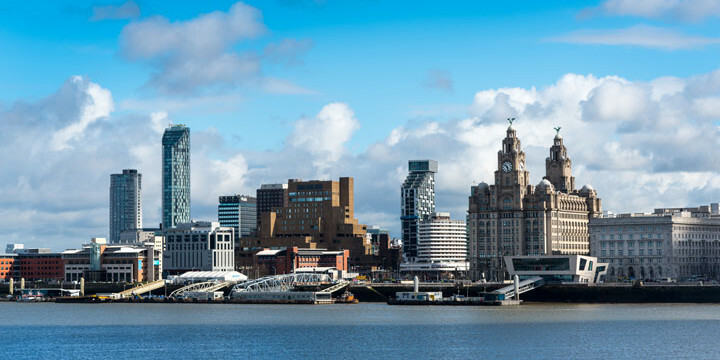 However, cruise services embarking and disembarking from Liverpool will allow greater connectivity to people across the north west of England and beyond, as we offer excellent road communications served by the M62, M57, M58 and easy access to the M6. We also offer the fastest growing airport in the UK, serving 60 destinations, with 5.3 million passengers annually – whilst Southampton Airport serves just £2 million passengers and 40 airport destinations. The nearby Manchester Airport is also the third largest airport in the UK, serving 200 destinations and 19 million passengers annually – and travel time from the city can be as short as 32 minutes to Liverpool. Without tarnishing the good name of Southampton, Liverpool is a more popular tourist destination for cruise passengers. Just last year, our waterfront was named in The Sunday Times’ Best Places to Live 2015. We were also named in the Top Three Cities in the World to Visit by Rough Guide in 2014. Liverpool is also the 6th most visited city in the UK and the third most visited city by foreign visitors, with Southampton not even entering the top 10. 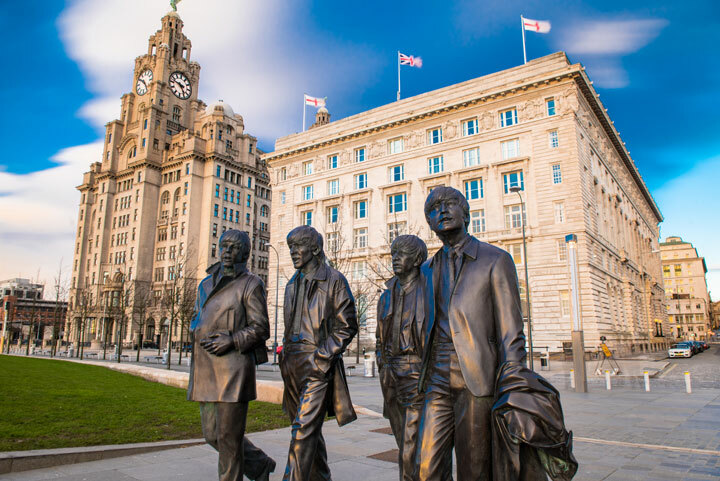 We are an attraction, offering The Beatles landmarks, two Premier League football clubs, three universities, status as the World Capital City of Pop, and more museums and galleries in the UK outside of London. Nothing fills me with more pride when I walk along the streets of Liverpool, which have changed significantly over the past 20 years; thanks, in part, to being awarded European Capital of Culture 2008. 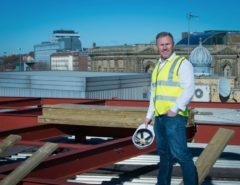 The city received a £5 billion investment delivered through both private-sector and public partnerships, and Liverpool One has also brought people into the city, offering a superb retail and leisure development spread out across 60 acres of the city centre. Whilst Southampton has 3,372 hotel bedrooms, Liverpool had 7,500 bedrooms as of 2016. Liverpool therefore has the means to accommodate a significant amount of tourists every single year. 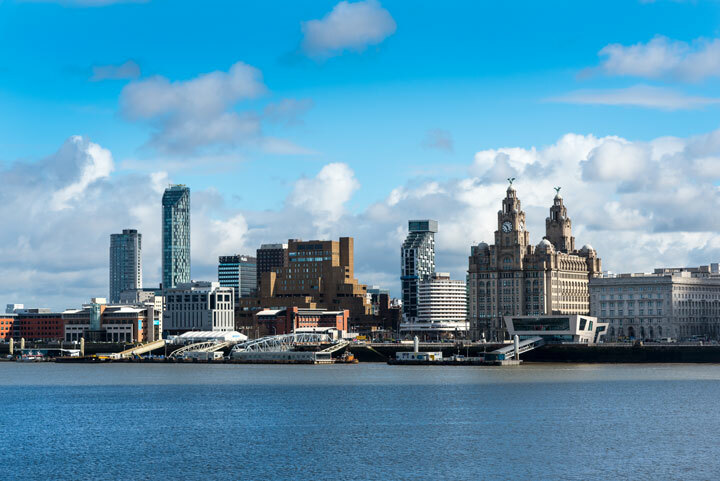 In 2015, Liverpool had a reported occupancy rate of 77%, with the average weekend occupancy is 85% – proving we are a force to be reckoned with in terms of tourism – and Signature Living is proud to be part of Liverpool’s growth. Our events are worth a visit alone. 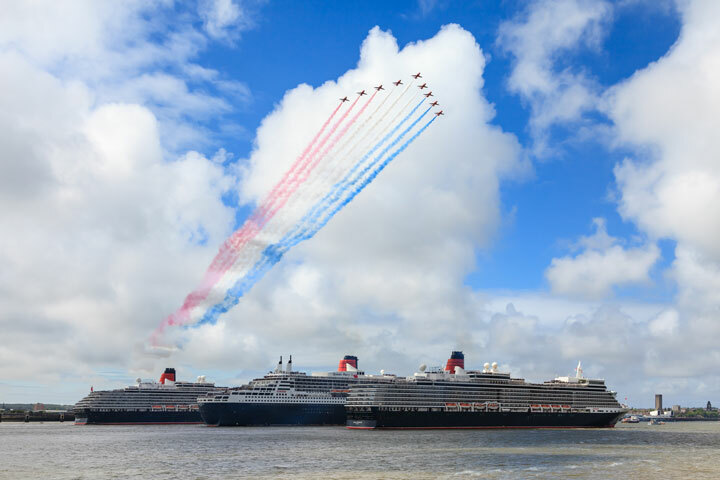 Just last year, we welcomed the Three Queens into the city, who were greeted by a crowd of one million people – proving the pride and passion of Liverpool’s maritime history. We have also welcomed giants into the city to celebrate the centenary of World War I and the anniversary of RMS Titanic’s sinking – and they’re set to return once again in 2018. Liverpool City Council also host the annual Liverpool Loves Festival, which celebrates the city’s business, food and culture. We are a city that is growing – and we cannot, will not, be stopped from reaching our potential. Do not get me wrong, Southampton is most definitely worth a visit, as it has historical connections to RMS Titanic, just like Liverpool, and is well-regarded for serving as the departure point for World War II’s D-Day, and it also attracts 120,000 visitors per year for its International Boat Show – similar to the International Mersey River Festival, which has an estimated turnout of 400,000. Companies across the world are banging on our door to work with us, and we already plan to welcome the Disney Cruise Line, who will call at Liverpool during the liner’s first visit to Great Britain. At present, the city’s tourism is worth £1.3 billion per year to the city – and the development of Liverpool’s port will allow the city to grow considerably in the future, creating an improved quality of life for our residents and the nation’s economy. The government has confidence in the city’s potential as an economic powerhouse, and isn’t afraid to significantly invest in Liverpool’s future to expand local firms, create thousands of jobs and develop transport infrastructure. The transport package, which totals £97 million, will result in £46.6 million committed to schemes to support the city’s freight and logistic hub ambitions, which will serve the expanding Port of Liverpool. £51.6 million will also enhance the connectivity and aesthetic of Liverpool, creating an increasingly popular tourism destination, whilst encouraging businesses and people to live in the city. If recent years have proven anything, Liverpool cannot be stopped in terms of growth. We have a duty to our heritage and the beauty of our waterfront to restore our cruise services. We hope to work in conjunction with Southampton in the future, with the Cunard Line even expressing they would like the Queen Mary 2 to make a port-of-call to Liverpool before crossing to New York, on selected departures. As I stated at the start of my analogy of the “Cruise Wars”, Liverpool certainly has built up a head of steam that is helping to project our city to the very forefront of not only politics but also in tourism, and this is due to the tireless work from Mayor Joe Anderson and his team, who will not rest until Liverpool have regained its rightful place at the very top of the world’s most loved cities, with a port that will be the envy of the world’s most accomplished ports.